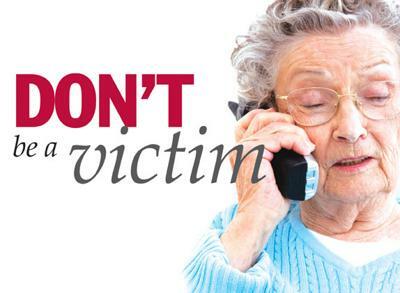 Scammers target senior citizens every day and the numbers are rising. Scammers target the elderly. Elders have financial stability, vulnerability, and tendency to act on emotion. Seniors are also less tech savvy. Scammers know seniors are less likely to use tools to avoid scams via phone, email and direct mail. Criminals use scams that play on their emotions, including fear. One report showed that, in 2011, seniors were robbed of nearly $2.9 billion dollars. People who robbed seniors are strangers (51%), family, friends, and neighbors (34%), fake businesses (12%), and scams on Medicare/ Medicaid (4%). Consumer groups have created guides on reporting scam phone calls. A popular scam is one by fake IRS reps. The fake rep claims that the senior has back taxes owed to the government. The calls scare people into giving out bank information or face jail time. Seniors targeted by phony IRS representatives should report the activity to the Treasury Inspector General for Tax Administration. Victims can report online or call 1-800-366-4484. People should report other scam calls to the Federal Trade Commission (FTC). Secondly, reporting phone scams to local police and the Attorney General’s office is important. Seniors can also use an iPhone caller ID app to screen calls and help to prevent scams. Fake suitors target people over 50 for romance scams. The percentage of people looking for online romance is the highest in this age range. Scammers claim their love for their victims almost immediately, and then ask for money. They are not available to meet in person and are usually suffering some form of emergency or personal tragedy. If this happens to you, refuse to send any money and report them to the FBI Internet Crime Complaint Center (IC3). CatalogChoice helps you to opt-out of getting specific catalogs in the mail. DMAchoice is a website that helps to manage your mail received at home. OptOutPrescreen can help you to opt-out of getting credit card offers in the mail. SeniorNet is a non-profit organization that educates seniors on computers. They have also created a guide on how to detect mail fraud. If you suspect that an offer received in the mail is too good to be true, call the company who sent the offer for more information. The Social Security Administration (SSA) reports a dramatic increase in phone scams. 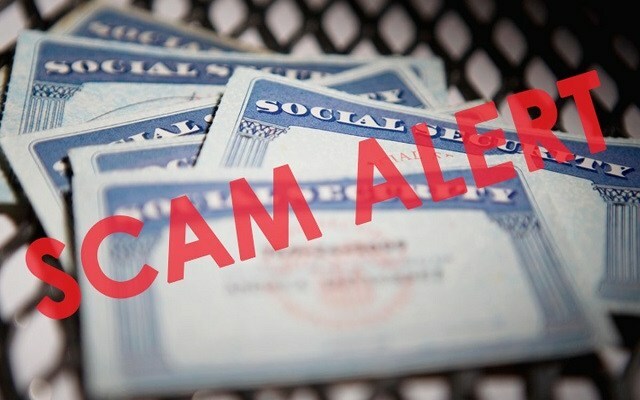 Senior citizens are targets for scammers claiming to be from the SSA. The reason for the call? To tell the senior his/her Social Security number has been suspended. The caller states there has been fraudulent or criminal activity with the card. The number is suspended to protect the real card holder. The SSA does not suspend Social Security numbers. Not for any reason. There is no cost to reinstate it. Despite the caller’s claims, it’s a scam. If you receive a call from an alleged SSA representative, use a free reverse phone book app for iPhone to verify the number. Some scammers spoof the SSA’s customer service number — 1-800-772-1213 — to take the scam a step further. The SSA rarely, if ever, calls people on the phone. They communicate by mail. Be aware that the SSA will not make threats. Do not give them your bank account number. Ignore demands from automated calls. Never give or confirm information. Don’t assume the call, text, or email is legitimate. Again, contact people by mail. Check all phone numbers using an iPhone reverse cell search app. Do not engage the person on the phone. Contact government agencies directly in person, through verified phone numbers, or through their website. If someone has tried to steal your personal information by pretending to be from the government, report it to the FTC. Also, report suspicious calls to the SSA’s Office of the Inspector General at 1-800-269-0271 or online. You might think that phone scams aren’t something you need to worry about. Yes, you may have received weird calls in the past, but you’d never fall for any of them. There’s the IRS scam and free giveaway scams, but it’s pretty evident to you that these are scams. What if you got a different type of call though, one where someone claimed to have kidnapped your loved one. What would you do? The kidnapping phone scam is the latest (and scariest) phone scam happening in the United States. What Is The Kidnapping Phone Scam? The kidnapping phone scam targets families. In this scam you will get a call from someone claiming to have your loved one, usually a son or daughter. You may hear screaming in the background and the caller may know personal information like family members’ names and the area that you live in, all this makes their call more believable. The caller will demand you wire them money immediately, or your family member will be injured or even worse killed. This is all designed to make you panic. The caller will often get the information on you and your family from social media. The best way to protect yourself from this frightening scam is to keep your social media accounts private and only share information with people you know and trust online. Refrain from publishing posts that divulge a lot of information publicly. Another thing that you can do to protect yourself is keep a cool head, although this is very difficult to do. Ask the caller personal questions about the person that the person they say they have would only know. Try to get in touch with the person they say they have. While on the phone with the caller try to text the person they say they have or get someone else to call the person that they claim is kidnapped. Contact the police. Though the caller will tell you not to contact authorities, be sure to contact them. If you ever get a call like this be sure to call your local authorities immediately. You can also filter your calls that you receive by running them through a white pages iPhone app. These apps will help you see if there are any phone scams associated with a certain phone number. There are many option in the App Store and in Google Play so give a few a try! If you have a phone number then you’ve definitely probably been targeted by a phone scammer. These annoying and potentially dangerous callers seek to steal your information and money. We’ll go over the most common and creative phone scams in the U.S. and how you can stop them. We’ll discuss the Do Not Call Registry and how reverse phone lookup apps can put a stop to these criminals. The most common phone scam in the United States is the IRS scam. This scam targets all Americans and in it a caller claims to be an IRS agent and accuses their victim of owing taxes. The scammer will say that if the victim doesn’t pay, they’ll send police to arrest them. This is a total scam, but it has a lot of success because many Americans are actually late in paying their taxes each year or may believe that they owe money. What’s important to remember is that you will always receive a registered letter from the IRS telling you that you owe money and you always have the right to dispute it. Charity phone scams are annoying in that it’s difficult to tell whether or not the call is actually a scam. What is true though is that the telemarketing companies that charities use to fundraise will often take a cut of the donation as part of their fee. For this reason, it’s always best to donate directly to the charity of your choosing and check it first to make sure it’s reputable. A lot of times these types of scams target the elderly, but they can really target anyone. Calls will promise anything from free Caribbean cruises to gift cards at major retailers. They can also offer free medical alert systems, cars, and even money. The one thing that all of these calls have in common is that they are a scam and want to get your information. It’s best to just ignore calls like these. The first thing you should do is make sure that your phone number is on the National Do Not Call Registry. After you’ve done this, make sure you report any unwanted and suspicious calls to the proper authorities. The majority of phone scams can be reported to the FTC. IRS calls should be reported to TIGTA. Another way to start avoiding calls like this is to download a iPhone caller ID app. Apps like this will help you decide what calls are worth picking up. The less you answer scammer phone calls and interact with them, the less they will target you. Months ago, warnings about the “Can you hear me?” scam were released by the FCC. Scammers will call victims will call victims and ask them questions like “Can you hear me?”, “Do you own a house?”, etc. Once the victim answers “yes” the scammer will hang up. Unbeknownst to the call recipient the phone conversation has been recorded and their “yes” response will be used to sign them up for unwanted services. Read on to learn more about the scam and how you can stop it with unknown number lookups apps. Your phone rings, you pick it up and the caller asks “Can you hear me?”. You reply “yes” and the caller then hangs up. Seems strange right? It’s possible that you’ve just been scammed. It’s been reported that the caller will then use the recordings of you saying yes to gain access to credit card information and charge you for fraudulent services that you never agreed to. They will play back your affirmative answers as proof that you agreed to the purchases. Additionally, this could also be a way for scammers to find active phone numbers. Once you’ve interacted with the call they’ll then call you more and in attempts to scam you in other ways. The website Snopes found no actual money being reported as lost in this type of scam, but it’s still important to be alert to the possibility. If you receive a call like this where you are being asked questions by an unknown caller just hang up. You can help protect yourself by using iPhone cell phone trace app to identify mysterious phone calls. Instead of answering calls from numbers that you don’t know allow them to go to voicemail. Then check your voicemail to see who it was. If no voicemail was left, chances are that the call was a spam one. By not answering you’ve avoided scammers and shown them that your number is a dead end. Hopefully, over time they’ll stop calling so much. If you feel that you’ve been a victim of the “Can you hear me?” scam, you should report it to the FCC. Want to learn how to trace a phone number on your iPhone? Every now and then, you will receive a call from a strange number. Is it from your ex who is stalking you and has totally refused to budge? Or is it the debt collector who has been trying to relentlessly make you pay up? Or on a lighter note, is it from the potential employer? Or the nice looking stranger you met at the bar? Well, whatever the case, you always want to be sure before you pick up the phone. And the only way you can comfortably answer the strange call is through a service that allows you to trace unknown callers on your iPhone. Are There Discreet Lookup Services? As a matter of fact there is. 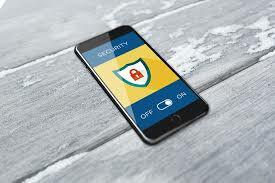 Many apps allow you to get information on strange calls coming through your iPhone without disclosing your location or requiring any personal information from you. In a matter of minutes, you will know the origin of the call before answering it. This saves you the trouble of having to put-up with the annoying caller, or missing out on a job opening simply because you didn’t pick up the call from the interviewer. Also, you don’t have to spend time and effort trying to Google the phone number. These services also allow you to block any calls from a person you don’t want to speak to. Furthermore, it lets you share the same information with other people who may be contacted by the unwanted caller. It is easily accessible via your iPhone. In a matter of minutes, you will be able to trace a call and choose whether to answer or block the caller. Do you want to stop annoying calls and texts from your iPhone? Your answer would obviously be yes. Well, you can with a caller ID app. The problem however is that 90% of these caller ID apps are worthless. Some are paid apps, others are free and many are a simple waste of valuable space on your iPhone. Most people due to the rising amount of pranksters, spammers, and irritating sales people simply do not answer a call if it is an unknown number. This is where a caller ID app will help you out. All you need to do is search “caller ID” in the App Store. Many caller ID apps are free to download and then have in-app purchase options. It’s best to go with one of these as you shouldn’t pay up front for these apps. Will It Stop Annoying Callers? The latest iPhone app to figure out the owner of a phone number examined and worth recommending is CallerSmart. Apart from the fact that this reverse lookup app works, all users have the ability to have fun and join in the community phone book. The developers have created a Hall of Shame for spammers and scammers. Users simply enter the number that called them and leave the details they choose to. Other users are then warned against that specific numbers. You can receive rewards in the form of smart badges, you unlock new ones by participating. You can share these badges with friends on social platforms, such as Facebook. The larger the growth of users the more numbers that are identified and blocked. The only downside of this free app is the fact that it is only available for iPhone platforms. Receiving a call from an unknown number is always unsettling. In most cases, you are not sure how to respond to the call because the caller on the other end has the advantage of surprise over you. Although it may be a friendly call, it may also be a serious call from a potential employer if you had applied for a job somewhere. In some cases, the call may be from a person you do not wish to talk to who has been giving you a hard time. The fact is that you should always be in a position to know who is calling you so that you can prepare yourself mentally on how to handle the call. Since you must have faced this scenario before, you must have wondered if there is a solution that will allow you to identify unknown callers even if they call with a number that you have not saved on your phone. You can now remove this uncertainty by using a number verification service. Once you receive a call from an unidentified number, you simply go to the app and type the number on the search bar to find out the caller’s name and also where they are calling from. Identifying the caller gives you a chance to add them to your phone book or call them back to discuss the matter you think they were calling you about. If you’re like me who enjoys a free phone trace on iPhone, and loves to identify unknown numbers you will love this service because of the freedom it gives you. Being a community oriented service, you will be able to leave community feedback that is helpful to others when they need to search the same number. This particular feedback helps you and other members of the community blacklist certain numbers that call for sales, prank, or scam purposes. In the event you decide to block a number permanently, this service allows you to do so. You can then rest easy knowing that you will never hear from the blacklisted number ever again. If you need more information on the caller, you may request a premium report that gives you more details.